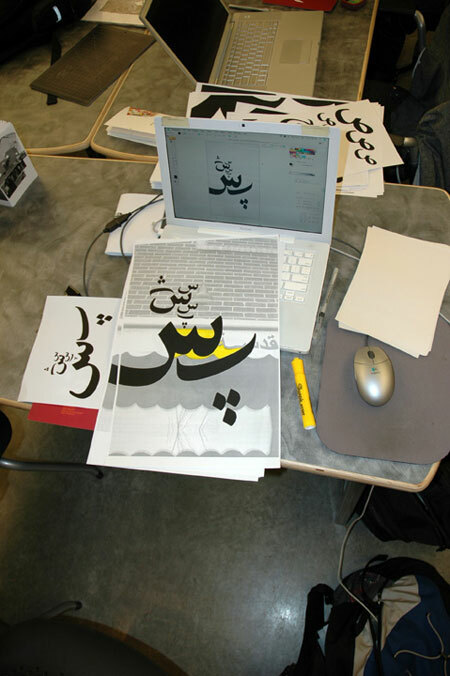 New process photos from our Perso-Arabic workshop. brought along many of their posters as well. Shokran, Lelando! What a great day we had. Also positive? No light sabers were used in anger. and then explored a wide variety of formal possibilities. More, much more to come. GRD_3020 Workshop: New process photos from our Perso-Arabic workshop. I want to do this! This looks awesome! This entry was posted by Erik Brandt on Wednesday, March 25th, 2009 at 10:18 AM	and is filed under Aktuell, Education, Geotypografika, Globalization, Graphic Design, International, MCAD, Minneapolis, Typografika, Typography.